Holly Bock is a Dallas native, growing up in the Preston Hollow area and receiving a BBA from SMU Cox School of Business. Holly is committed to providing her clients with a truly impressive real estate experience. As a specialist in the Acquisition and Marketing of Residential, Luxury and Condominium Properties and Builder Services, she delivers an insightful and in-depth assessment of the current regional trends. 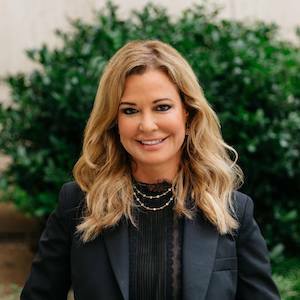 Holly’s extensive understanding of the Dallas real estate market provides insights into the area’s schools, cultural events, outdoor activities and favorite Dallas restaurants. Holly’s children attended Hockaday and St. Mark’s volunteering often at her children’s schools. Being fully engaged with the community, it is Holly’s passion to provide each client with individual attention, enthusiasm, and insightful awareness into the special life and rich and charming character that Dallas has to offer! Holly excels at providing insightful, comprehensive guidance and marketing applications that produce results. Sellers receive creative and well-organized marketing applications that clearly accentuate each property’s specific features. Skillfully leveraging their property's visibility, Holly designs a comprehensive listing preparation consultation that utilizes professionally produced photography and a presentation in print and on multiple internet sites. Regardless of the time and effort it takes, when working with buyers, she works tirelessly to identify key opportunities that meet their lifestyle requirements. She exhibits a relentless commitment to securing just the right property for each buyer. Through her valuable focus as Relocation Specialist she is extremely diligent in seeing that her clients’ needs are thoroughly attended to and loves sharing her in-depth perspective into each community within the region. In working with Holly, her clients receive a special advantage of two professionals. Holly collaborates with Jeffrey Lester in a team approach to deliver a truly comprehensive real estate experience to their valued clients. Servicing their clients as a team, Holly’s and Jeffery’s efforts complement each other to ensure that their client’s needs are thoroughly attended to. She has been active with many charitable organizations including Cattle Baron’s Ball raising money for the American Cancer Society. She is a member of the Dallas Museum of Art and was a founding member of the Dallas Museum of Art, Junior Associates. Holly served on the Southern Methodist University Cox School of Business Executive Board, 2015-2019. She is a member of the World Affairs Council, National Association of Professional Women, Phi Mu Fraternity and was 2015 Co-Chair of “Sweethearts for Sweenie” benefiting Camp Sweenie, a juvenile diabetes camp for children. Holly currently serves on the Dallas Zoo Board and Our World Water Foundation board. Previous board positions include The Texas Israel Chamber of Commerce and The Family Place. Contact Holly to serve you and your personal real estate interests. This stunning home reflects the highest level of design details like hardwood floors and plantation shutters and includes multiple smart home systems controlling everything from lights, fans and sound to the alarm, interior climate, pool, and yard maintenance systems. Multiple updates including high-end appliances, Pella windows and an all-home surge protector.